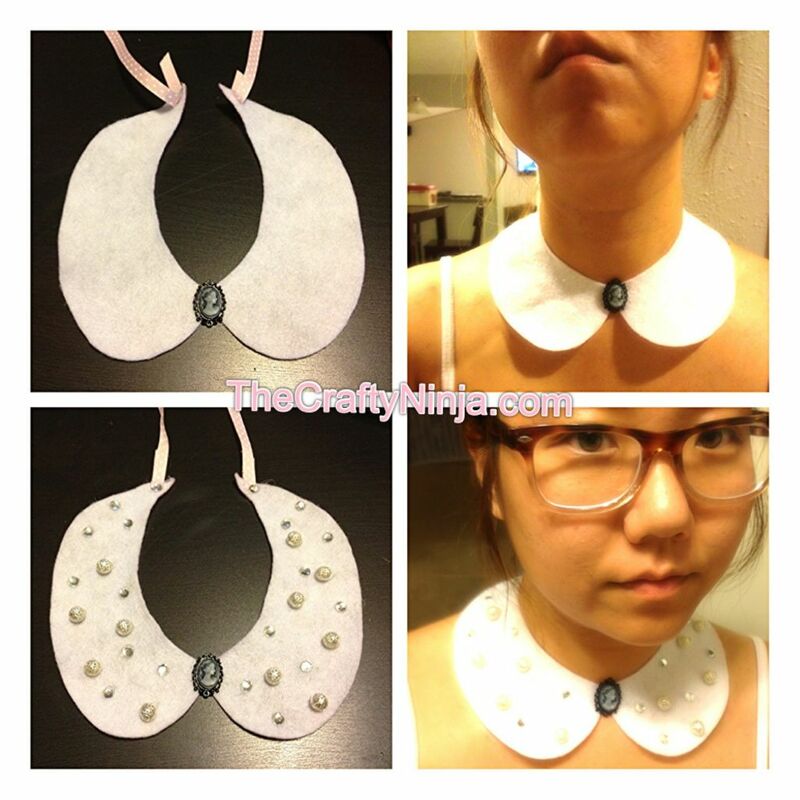 Today’s tutorial is the Peter Pan Collar Necklace. I’ve seen these super cute and adorable new trend in fashion and wanted to share how I made mine. 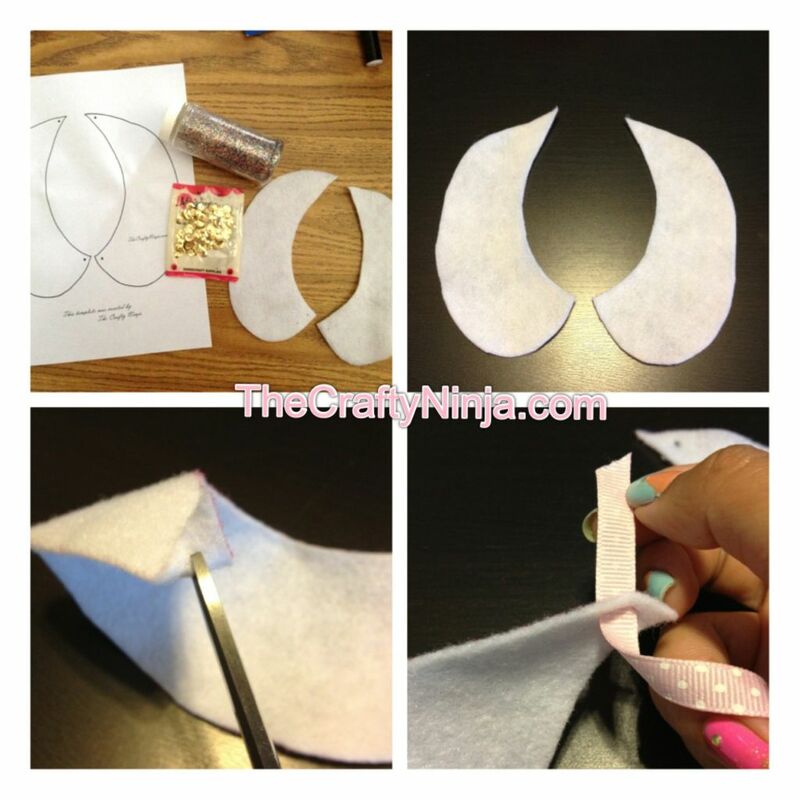 I drew out my own Peter Pan Collar template and got started. You could keep your collar simple or add on the bling! Check out my other Glitter Peter Pan Collar DIY. Supplies needed: Felt, Pencil, Peter Pan Collar template , Beads, Rhinestones, 2- 18″ Ribbon, Hot Glue Gun, Glue Sticks, and Scissors. First cut out the template and trace it on the felt with a pencil. Next cut out the collar an cut a slit at both ends to string the ribbon through. 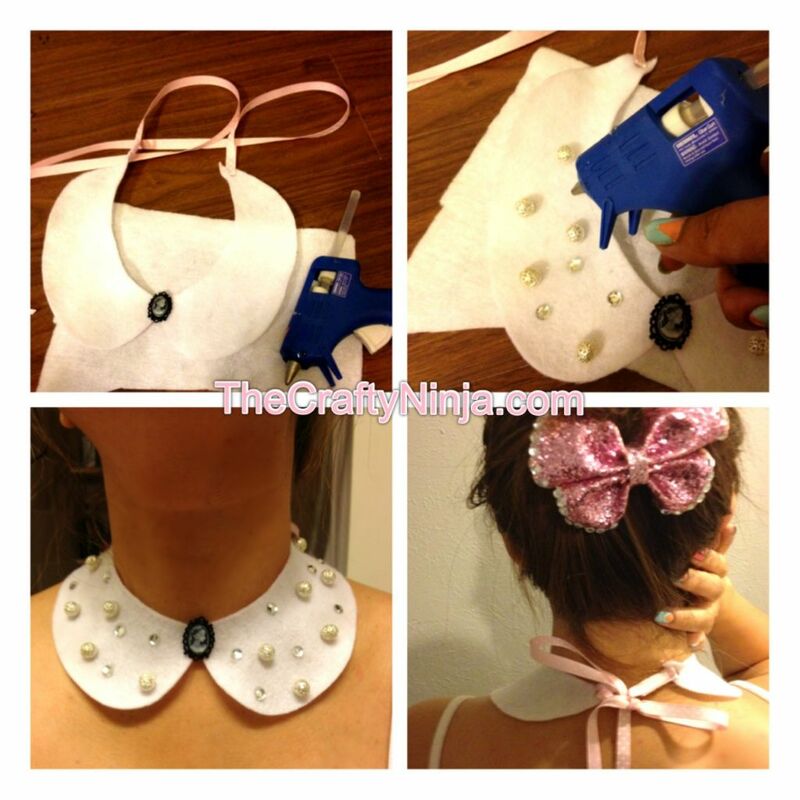 Next with the hot glue gun glue to ribbon edges down and glue a charm of your choice in the center, where the two sides of the collar meet. I added silver ball beads and rhinestones to give a little flash, also adding pearls would also look so cute! Check out this look with a complete outfit in my fashion section here.